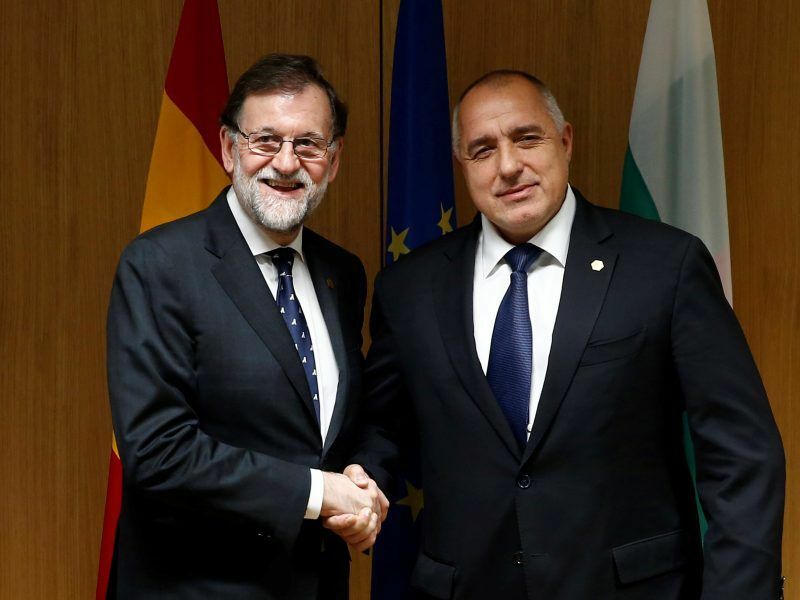 Spanish Prime Minister Mariano Rajoy has told his Bulgarian counterpart Boyko Borissov that he has a problem with the summit in Sofia, scheduled for 17 May and has threatened not to attend if Kosovo participates. The exchange happened when the two premiers met on the sidelines of an EU summit on 23 March. Bulgaria, which holds the rotating Presidency of the EU Council, plans to host the leaders of the remaining 27 EU members and the six Western Balkans countries, including Kosovo. Never before has Bulgaria hosted an international meeting of this magnitude and the event is designed to be the highlight of its presidency. Spain is particularly sensitive in the context of the fresh push for independence in Catalonia. Speaking at the March Brussels summit, Rajoy said he could attend an informal dinner of EU member states on 16 May, the day before the Sofia summit, but for the next day, he said: “We have an important issue. Some speak of enlargement with countries which are not recognised, including by Spain. This causes us some worry”. On 5 April diplomatic sources told EFE agency, EURACTIV’s partner in Spain, that Madrid confirms this position, and that it is “surprising” to talk about EU enlargement with Kosovo. The official position of the Slovak government, as EURACTIV Slovakia reported, is that the month until the summit leaves plenty of time for negotiations to broker a mutually acceptable solution. “Our attitude on Kosovo remains unchanged: the Slovak Republic does not recognise its independence. Slovakia is pre-counting for its participation in the summit in Sofia. We will take the final decision, depending on further developments in this topic”, the government in Bratislava stated. Greece said it will attend the meeting, without providing further details. Serbia’s has not confirmed its attendance at the second day of talks. Its Prime Minister Ana Brnabić reportedly said Belgrade would wait to see how the preparation will unfold before deciding. The paradox is that Belgrade and Pristina now have less difficulty in communicating than some member states when it comes to Kosovo. 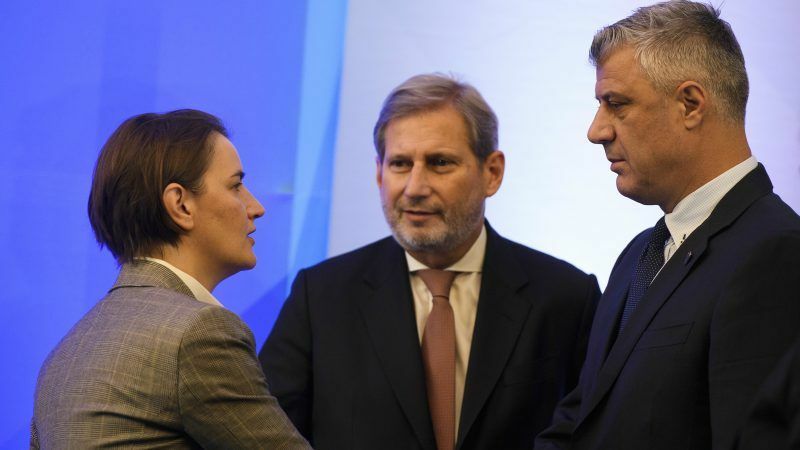 Brnabić and Kosovo’s President Hashim Thaçi have already met under EU auspices. There have been summits with the leaders of the Western Balkans in the EU framework, including Kosovo, even “family photos” of the leaders, but never with all member states. The last summit when all Western Balkan countries were invited together was in Thessaloniki in 2003, with the then 15 EU member countries. But at that time Kosovo was an international protectorate and was represented by a UN official. Bulgarian foreign minister Ekaterina Zaharieva said on 5 April that all countries except Spain had confirmed their presence at the meeting. 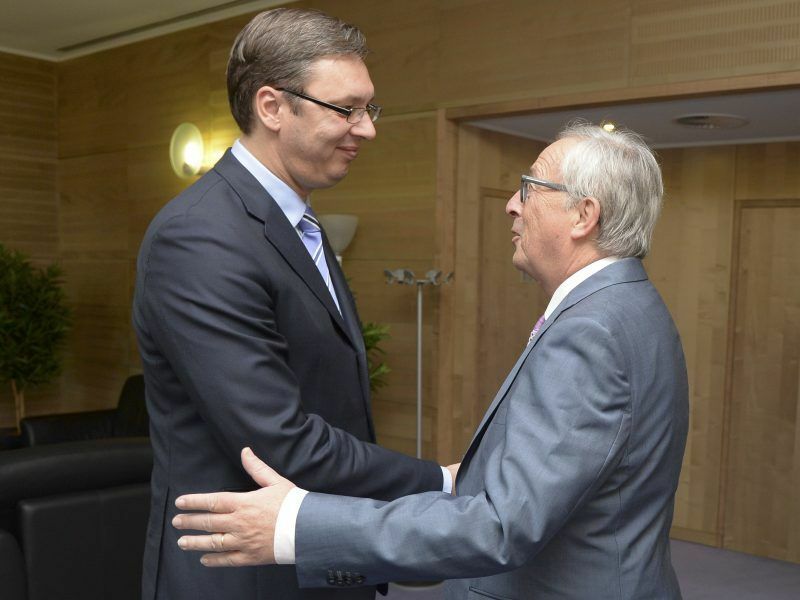 “The EU-Western Balkans meeting is not failing. The text of the declaration has been prepared and is in the process of consultation. The only question is whether it will be made public on behalf of the 28 member states of the Union plus the six Western Balkan countries, or only on behalf of the EU member states”, she said, as quoted by ClubZ website, adding that she foresaw this would ultimately be on behalf of the EU-28. The summit is expected to have two stages – with the EU-28 on day one, and a second day when the six hopefuls, Albania, Bosnia, Serbia, Montenegro, Macedonia and Kosovo would attend. It is less clear if the EU-28 will be represented, even at lower level, on day two. The host will be Prime Minister Boyko Borissov but the real players are the President of the European Council Donald Tusk and Commission President Jean-Claude Juncker. Foreign Affairs chief Federica Mogherini and Johannes Hahn, the EU’s Enlargement Commissioner, will also be present. To ensure that the final document is accepted, it is foreseen that it would be drafted on behalf of the 28 EU members only, Zaharieva explained. The formula “Western Balkan Six” is also likely to be dumped, because it would place Kosovo on the same level as the other five countries, which is seen as unacceptable by Serbia. Also, there may be no “family photo”. Radio Free Europe/Radio Liberty reported having seen the “Sofia Summit Declaration”, and commented that the 13-paragraph text had “very little political content”. Although its working title is “Sofia Summit Declaration”, the countries that don’t recognise Kosovo insist it should be simply called “Bulgarian Presidency Conclusions”. EU institutions believe it will be possible to solve the Kosovo conundrum when Serbia’s accession negotiations enter the last lap and, as the last step, Belgrade is required to recognise Pristina. It is less clear what is the strategy for countries like Spain vis-à-vis Kosovo, and whether its EU accession is possible at all, even in the longer term. Serbia appears to be moving closer towards resolving relations with its former province of Kosovo – a key issue holding back its EU membership bid. President Aleksandar Vučić, who is trying to get cross-party support for a lasting solution, expects “very difficult talks” on Kosovo this month.